Our payroll services offers businesses an outsourcing solution that fits, whether you are hiring your first employee or your company employs thousands. GTM provides local payroll services, and serves as a premium alternative to vendors who may not be as flexible or as cost-efficient as your business may require. Our focus, expertise, and personal service have led businesses of all sizes and types to trust us with their payroll administration. We’re known for prompt, personal, and knowledgeable service, delivered with strict confidentiality. Use our skills and resources to improve or simplify your payroll process. Download our Mid-Large Business Payroll brochure to learn about the solutions we offer to let you focus on growing your business. 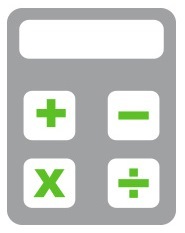 Our services are designed to meet the unique tax and payroll needs of growing businesses. With our state-of-the-art service, you can easily integrate our payroll system into your existing payroll process. You can access it on your own PC for quick and convenient reviews, changes and reporting. Feel comfortable knowing that you have the most advanced and reliable payroll service from an established national company with local headquarters. If your business requires you to provide certified payroll reports to any agency, then the Certified Payroll Report is your solution. By providing NY Payroll with your payroll hours and daily details, we can create a certified payroll report that is ready to be turned in to most agencies. GTM clients can directly deposit employees’ net pay, a percentage of their net pay, or a flat dollar amount into an unlimited number of accounts. Since a single bank handles all of our direct deposits nationwide, our streamlined process makes direct deposit more accessible for our clients, no matter where they bank. There is more security and control with direct deposit than with cashing a check, plus employees save time and often have access to their funds earlier. Direct deposit can save employers money while providing an important employee benefit. 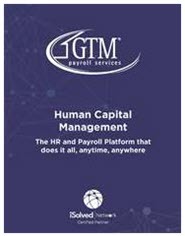 Call us today to discover how GTM can meet all of your payroll needs – (518) 373-4111.